With the recent announcement of the Office 365 public beta, Microsoft has unveiled the next incarnation of their cloud-based services. 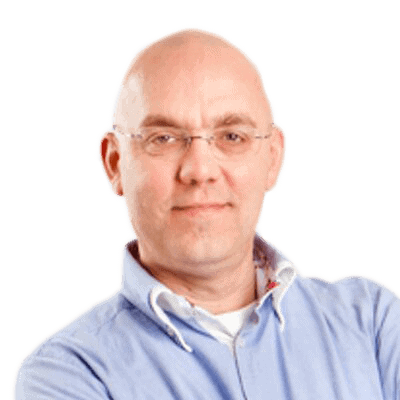 Lucky for us, Jaap Wesselius has the inside scoop, and gives us everything we need to start using the new platform. Microsoft has had online offerings for a couple of years now, primarily in the shape of BPOS (Business Productivity Online Suite), Microsoft recently announced the next evolution (or perhaps the next member) of their online services: the public beta of Office365. This means that, as of April 18th 2011, this (beta) service is now open for anyone to try. You might be asking yourself “What is Office 365?”, or “How is this different from BPOS?”; time to take a closer look! In this series of articles, I will try to explain exactly what Office 365 is, how to configure it, how to integrate it with your on-premise Exchange 2010 implementation (also referred to as ‘rich co-existence’), and the new functionality available to users, like Identity Federation and Active Directory synchronization. In this first article I will explain a bit more about Office 365 in general, as well as how to setup an Office 365 environment in only a few steps. 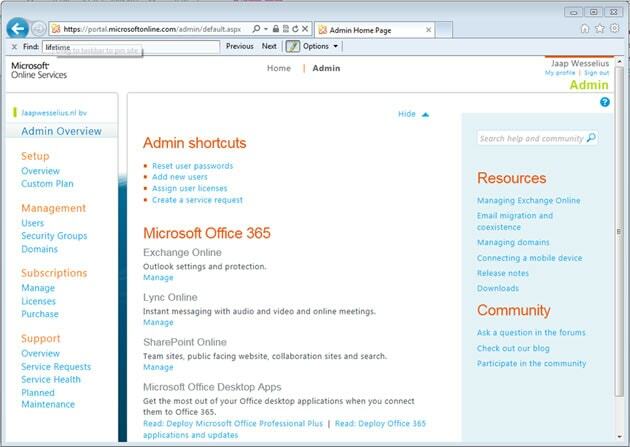 However, please note that this is all based on the beta of Office 365, so things might still change a little bit. It’s also worth bearing in mind that for this first look, we’ll be walking through the essential setup of your Office 365 environment, step-by-step, with all the details you need to get up and running. As usual, you can find more information on the Microsoft website, and you can also request an account for beta testing while you’re there. If you subscribe for the beta, you’ll receive an invitation for the new Microsoft Online portal. The first time you try and logon to the portal, a new Live ID will be created for you (or you can use an existing Live ID, of course), after which you can logon through http://portal.microsoftonline.com. 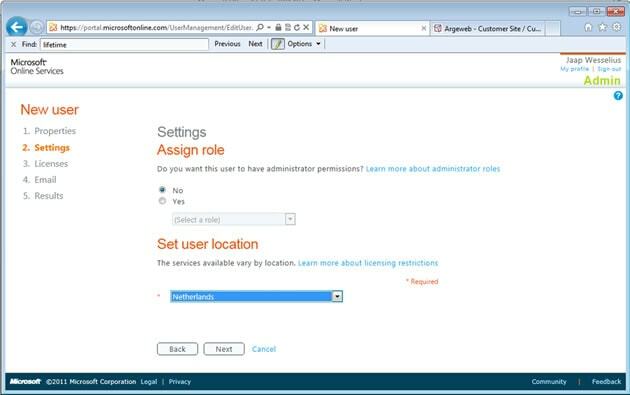 In this administration portal, you can manage all of your online services, including the Exchange online organization, and you can also manage the integration with your on-premises Exchange environment, i.e. the Exchange environment you have in your office. To add a new domain in the portal, click Domains in the Navigation pane. An overview of the existing domains is shown, and you can click Add a domain to continue. A wizard appears, and you will have to specify a new domain; in this example, I’m using “office365-blog.nl“;. The domain is added to the online system, but it needs to be validated before it can be used. This makes sense because you can add any domain you want, even if you’re not the domain owner. The validation process is (obviously) designed to prove your ownership of the domain. 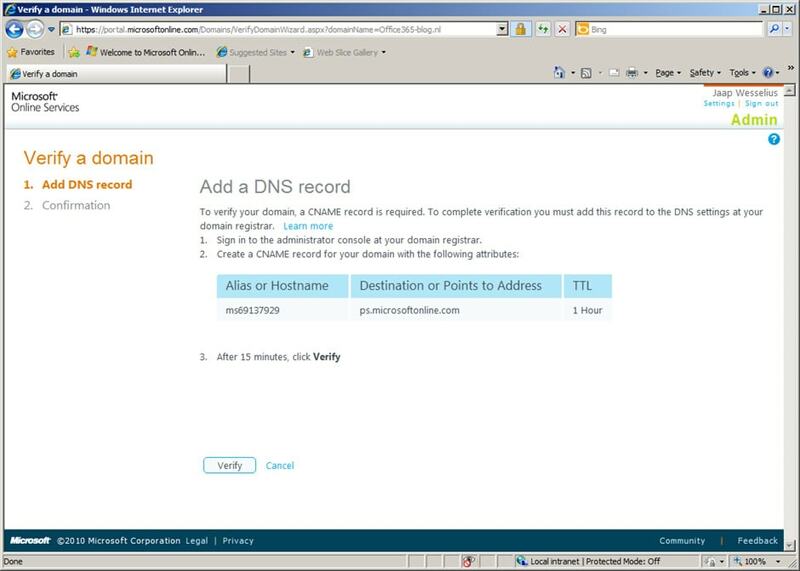 This validation is achieved by asking you to add a CNAME record (pointing to the Microsoft online services) to the public DNS, which you can only do if you’re the owner of the domain. So, in our example, the hostname ms69137929 needs to be added to the public DNS, and it needs to point to the address ps.microsoftonline.com. After adding this record to the public DNS (and waiting some time for the record to be available), continue by clicking on the Verify button. Once the domain is added, the next step is to configure the DNS records. After all, you want your services to be publically available, right? Click Configure DNS records to bring up the appropriate wizard. When you follow the wizard, it will automatically display the details you have to enter in your public DNS, like the MX record, the Autodiscovery CNAME, and the SPF record that’s used for anti-spam. This wizard is retrieving the details, and it’s up to the SysAdmin to update these records in his / her own public DNS. After adding these records, we only have to wait until replication is finished (not only for the public DNS, but also for the Office 365 internal systems). Bear that in mind because, if you try to send messages to the SMTP domain for office365-blog.nl (or, naturally, your own domain) immediately after completing the DNS records wizard, the services will fail because replication will not be finished. 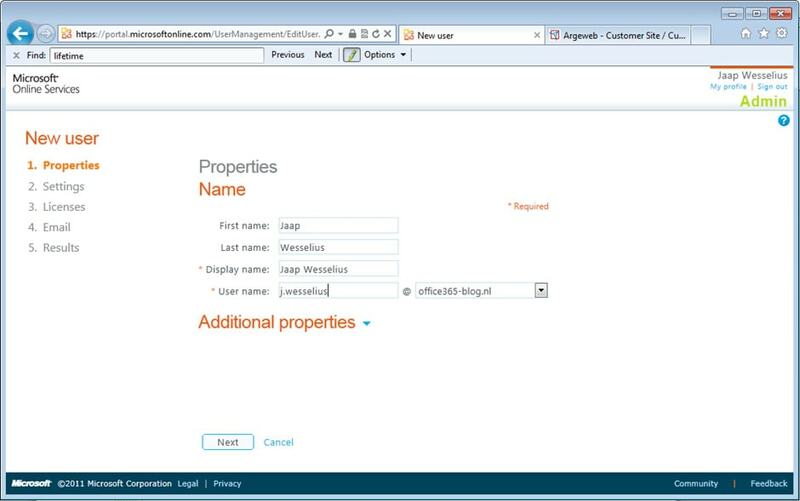 In the User Name field, you can enter the user’s login name, including a domain name. 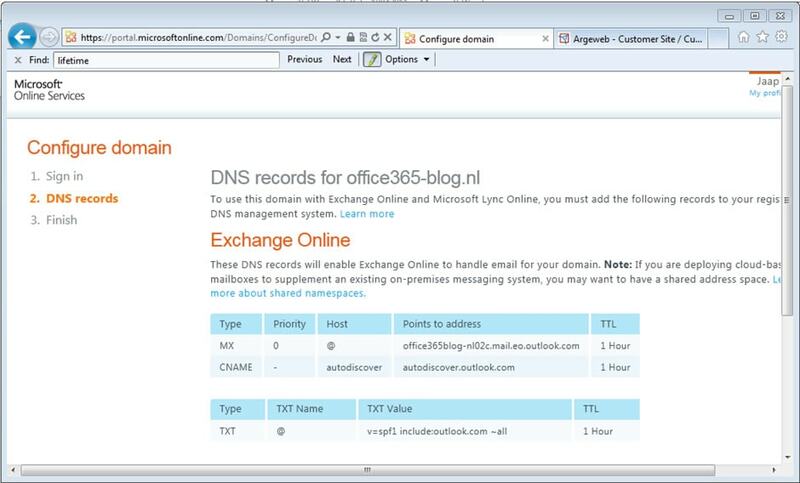 As you can see in Figure 5, you can select one of the domains that you have previously registered, which in our example this will be the Office365-blog.nl. Click Next to continue. You can give a user certain Management Roles, which determine what (if anything) the user can do from an administration point of view. For a regular user, leave the Assign Role radio buttons set to No. For the user location, select the country where your user resides, in our example this will be Netherlands. This is an important selection since it determines which datacenter (i.e. geographical location) is used for mailbox creation. In the next window, the licensing options are available. Option 1 (Plan K1) is the light version of the Office365 application, sometimes also referred to as the ‘Kiosk’ version, and is primarily meant for web access. With this option, you can only access the Outlook Web App and host SharePoint service using your browser; other options and applications are not available in Plan K1. 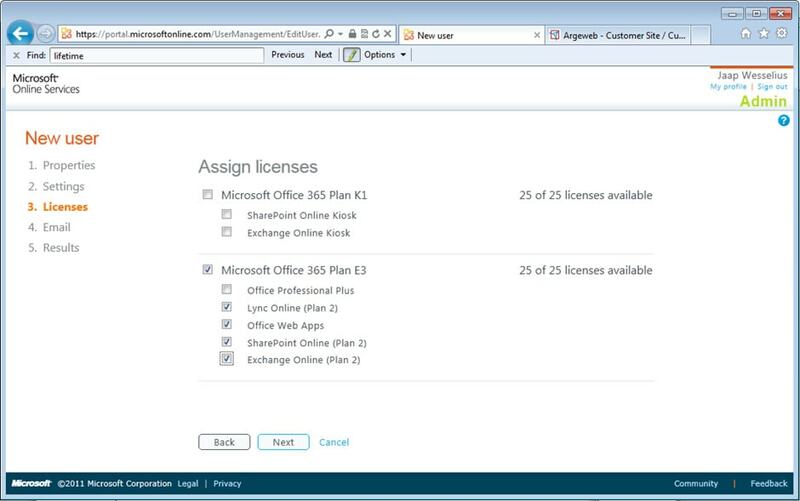 Option 2 (Plan E3) is the full version of Office365; this not only includes licenses for hosted Exchange, hosted Lync and hosted SharePoint, but also a license for Office Web Apps and a full license for Office 2010. This way, you have access to the full set of available functionality, and you can have Office 2010 on your desktop cooperating with the Office365 environment. The last step is to actually create the user and the mailbox. The user’s password is sent (in plain text) to the administrator, but it is shown in the browser as well. Creation of the user takes between 5 and 10 seconds to complete. At this stage, the user is fully provisioned and it’s time for them logon for the first time. Log off from the administrator session and fully close Internet Explorer. Then open Internet Explorer again, and navigate to the portal (https://portal.microsoftonline.com) and logon as the newly created user. The first time the user logs on, they have to change their password using a standard pop-up window – no big deal – and after changing the password, the session is automatically ended and you (they) will have to logon again using the new password. 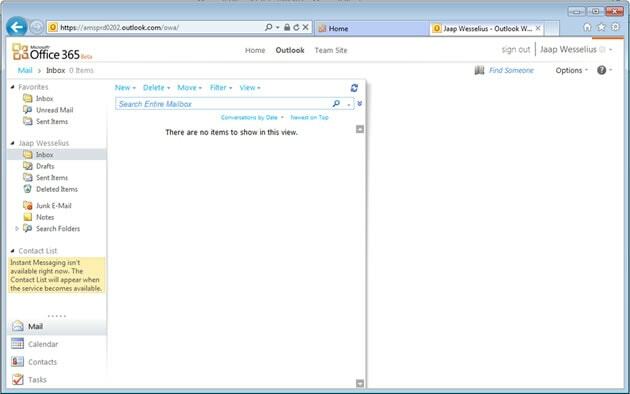 Once you’re In the portal, click on Inbox under the Outlook header, and voila, you’ll be in the user’s inbox. 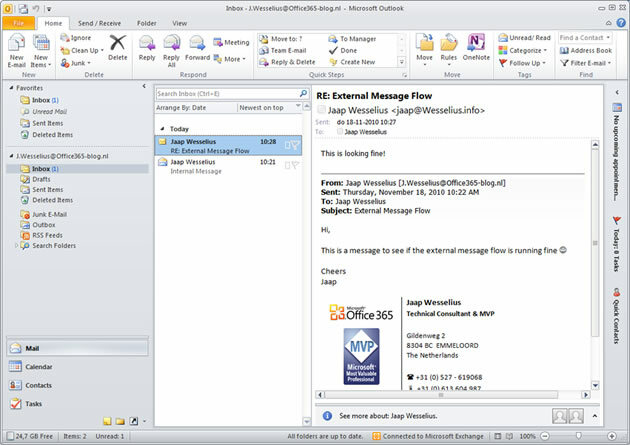 Note the message about Instant Messaging (see figure 9); since we haven’t got round to configuring Lync, this is not yet available. You might be wondering how you can use your local copy of Outlook in combination with Office 365? It’s simple: just like in an enterprise environment, you use the autodiscover functionality. Start Outlook 2007 or Outlook 2010, and create a new profile, entering the appropriate full name, e-mail address and password. Outlook will retrieve the autodiscover IP address from the public DNS, and automatically configure the Outlook profile appropriately. Figure 10. Outlook 2010 connected to Office 365. Now let’s get back to the administration console (as the administrator) and select User Management. When we select the newly created user and select Properties, all of their general properties, like names, department, phone number etc. can be changed. These are currently the default Active Directory settings. Still in the Management Portal, select More and, when we can select Change Mailbox Settings, a new window appears. 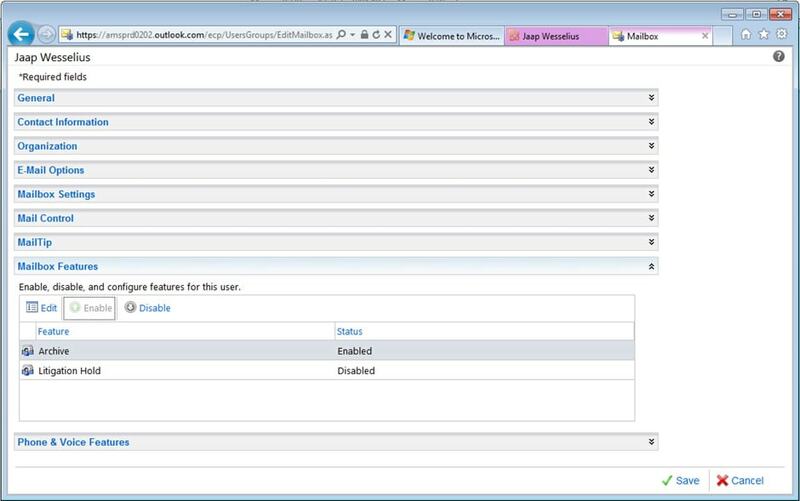 This is the Exchange Control Panel (ECP), almost the same as the ECP seen in the on-premise Exchange 2010 environment. The ECP gives you the ability to manage your user’s mailboxes, ranging from general information like name and address, to additional e-mail addresses en even the Personal Archive (See Figure 11). The only options that are missing in the Office365 ECP (compared to the on-premise ECP) are Phone and Voice features and Mailbox Usage. So, everything you have in your on-premise Exchange 2010 environment is also available in the Office 365 environment, ranging from themes in OWA, to Personal Archives, Litigation Hold, and even custom mailtips. 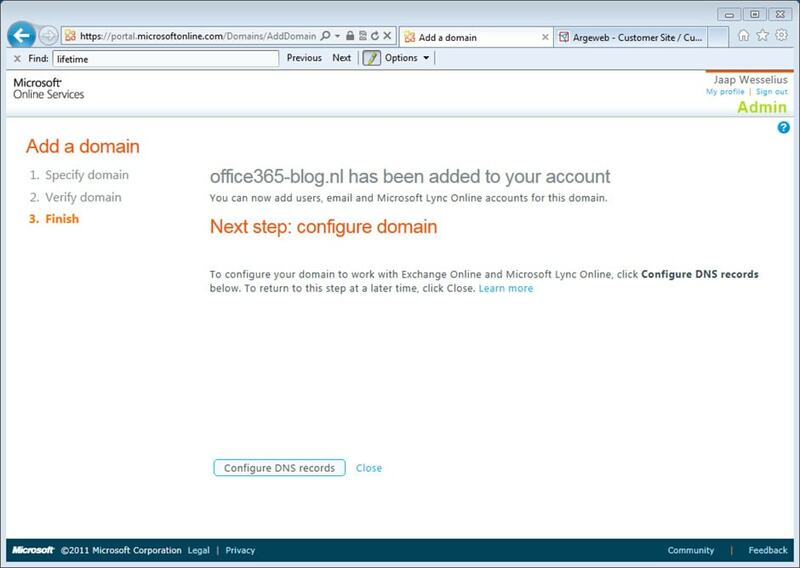 In this first article I’ve explained the basics on how to setup an Office 365 organization and how to configure Exchange online. As you’ve seen, this can be accomplished within an hour, except for some replication timing and DNS TTL settings. The built-in management options are sufficient if you have only a few users, and do not need any kind of integration, but I will discuss these options in much more depth in future articles. In my next article, I’m going to focus on other services offered in Office365, and we’ll continue to explore this new cloud-based service.